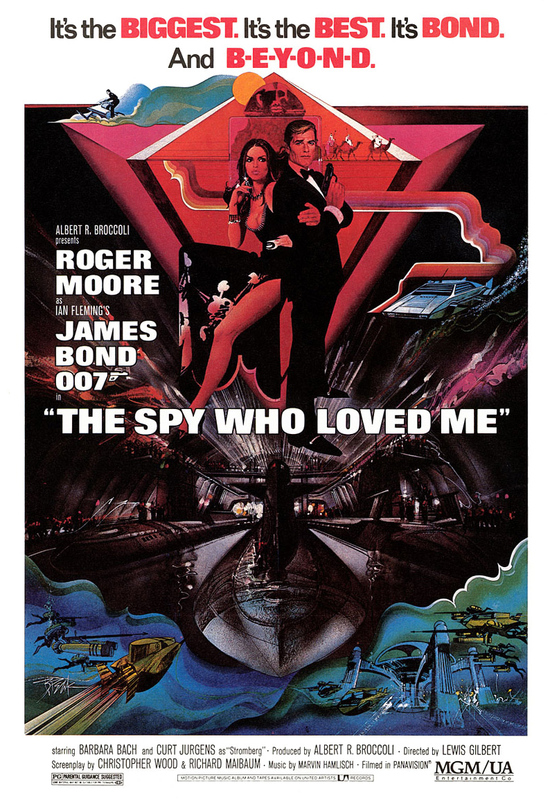 Four decades after its theatrical release (on that apt 7/7/1977 date) , The Spy Who Loved Me remains one of the most beloved James Bond films — not only for the Roger Moore era but the entire Eon Productions series. Moore himself declared a couple of times this was his favorite Bond film. His preference for this film was understandable. The film’s production had a rough start. In 1975, shortly after the release of The Man With The Golden Gun, Harry Saltzman sold his share of the Bond rights to United Artists after facing serious debts and personal problems, leaving Albert R. Broccoli as sole producer. Eon Productions was not allowed by contract to use anything from Ian Fleming’s 1962 novel except for the title. It is known that the James Bond creator wasn’t happy with his most peculiar book, written in first person from the viewpoint of Vivienne Michel, a young girl attacked by goons in a motel in the United States and rescued by James Bond. 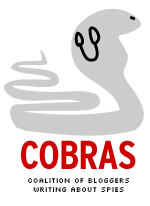 Various writers were hired to devise a story. Christopher Wood and Richard Maibaum would receive the screenplay credit. Guy Hamilton departed the project, originally set for a 1976 release. Finally, Lewis Gilbert, who directed You Only Live Twice a decade before, was hired. Attempts to bring back Ernst Stavro Blofeld and SPECTRE were cancelled after Thunderball producer Kevin McClory threatened with legal action. Nevertheless, scribes Wood and Maibaum penned a suitable Bond extravaganza that pleased audiences. In the process from the script to screen, a huge set was built at Pinewood Studios to double for the tanker owned by the villain. Claude Renoir’s camera captured the exotic beauty of turistic spots like Sardinia and Cairo. In Egypt, the crew was constantly monitored by the government. The catering service was a disappointment, leaving Cubby Broccoli to step up and personally cook spaghetti for the whole crew. The Spy Who Loved Me stands out as an improvement for the Moore 007 movies. 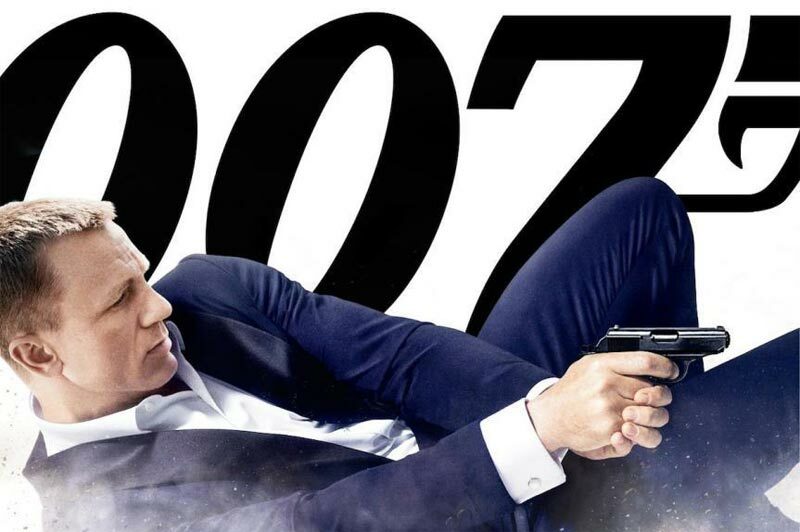 After two entertaining but rather “cheap” Bond films, this third Moore/Bond adventure looks expensive. The action scenes are tidy and organized proving to be a perfect syncronization between the soundtrack, the cinematography, the stunt team and Lewis Gilbert’s experience in delivering an extraordinary adventure in the scale of You Only Live Twice. Also notable was the work of the model unit to turn Bond’s white Lotus Espirit into a mini submarine, which he uses to explore the villain’s lair beneath the Sardinian seas (actually shot in The Bahamas, as were most of 007’s underwater sequences). However, honors for The Spy Who Loved Me should go for a very brave man who performed an unforgettable stunt. Rick Sylvester got on his skis and slided trough the snowy summit of Canada’s Mount Asgard. He jumped off a cliff and opened a Union Jack parachute. This moment that won cheers and applause over cinemas across the United Kingdom almost killed Sylvester when one of the abandoned ski poles nearly punctured the parachute. Barbara Bach lacked acting talent as the leading lady. This weak aspect was compensated by Curt Jurgens magnificient performance of Bond’s nemesis Karl Stromberg who tries to ignite World War III as the initial step for the inception of a world beneath the sea. However, the most memorable character in the film’s rogue gallery was Richard Kiel’s Jaws, the giant with steel teeth who would return to join the side of good in the next film, Moonraker. The popularity of Jaws was so big that Richard Kiel shared his likeness for three Bond videogames: GoldenEye 007 (1997), Everything or Nothing (2003) and 007 Legends (2012). Marvin Hamlisch delivered a score in tone with the times, influenced by the Bee Gees music and the late 1970s disco tunes but also with the dramatic tunes some moments require, such as the tanker battle near the end. Particularly good are his remixes of the classic James Bond Theme that heralded the many action sequences of the film. For the main title song, Hamlisch and lyricist Carole Bayer Sager took inspiration from Mozart and created the immortal ode to Bond: “Nobody Does it Better,” a title that could very well also fit the effort to deliver a Bond film with capital B. The Spy Who Loved Me, which debuted 40 years ago this year, showed the cinema 007 was more than capable of rolling with the punches. Global box office for the previous series entry, The Man With the Golden Gun, plunged almost 40 percent from Live And Let Die, the debut for star Roger Moore. For a time, things got worse from there. The partnership between 007 producers Albert R. Broccoli and Harry Saltzman, unsteady for years, ruptured. Eventually, Saltzman was bought out by United Artists, leaving Broccoli in command. But that was hardly the end of difficulties. Kevin McClory re-entered the picture. He had agreed not to make a Bond movie with his Thunderball rights for a decade. That period expired and McClory wanted to get back into the Bond market. Eventually, court fights permitted Broccoli’s effort for the 10th James Bond movie to proceed while McClory couldn’t mount a competing effort. But that still wasn’t the end of it. Numerous writers (among them, Anthony Burgess; Cary Bates, then a writer for Superman comic books; future Animal House director John Landis; and Stirling Silliphant) tried their hand at crafting a new 007 tale. Finally, a script credited to Christopher Wood and Richard Maibaum, with uncredited rewriting by Tom Mankiewicz, emerged. Guy Hamilton originally was signed to direct his fifth Bond movie but left the project. That paved the way for the return of Lewis Gilbert, who helmed You Only Live Twice a decade earlier. It was Gilbert who brought Christopher Wood to work on the script. The final film would resemble Twice. Spy had a tanker that swallowed up submarines where Twice had an “intruder missile” that swallowed up U.S. and Soviet spacecraft. With Saltzman gone, Cubby made his stepson, Michael G. Wilson, a key player in the production. Wilson was already on the Eon Productions payroll and was involved in the negotiations that saw Saltzman’s departure. For Spy, Wilson’s official credit was “special assistant to producer” and it was in small type in the main titles. However, Spy was that downplayed Wilson’s role. An early version of Spy’s movie poster listed Wilson, but not production designer Ken Adam, whose name had been included in the posters for Twice and Diamonds Are Forever. UA, now in possession of Saltzman’s former stake in the franchise, doubled down, almost doubling the $7 million budget of Golden Gun. In the end, it all worked. Bond shrugged off all the blows. 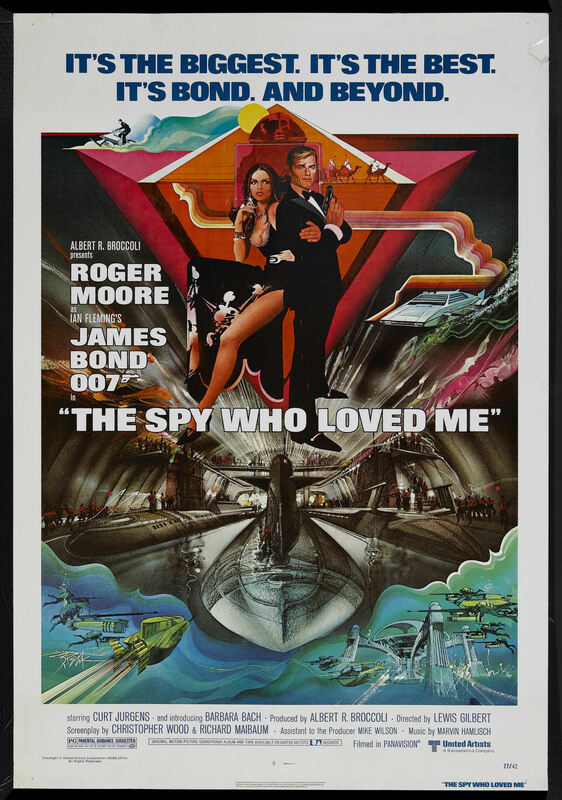 Roger Moore, making his third Bond movie, would later (in Inside The Spy Who Loved Me documentary) call Spy his favorite 007 film. The movie also received three Oscar nominations: for sets (designed by Adam, aided by art director Peter Lamont), its score (Marvin Hamlisch) and its title song, “Nobody Does It Better” (by Hamilsch and Carole Bayer Sager). None, however, won. Peter O’Toole has died at 81. His stellar career included one very, very minor James Bond connection: an unbilled cameo in producer Charles K. Feldman’s 1967 Casino Royale spoof. We’d try to explain, but it’s really not worth it. Feldman signed up a lot of famous actors for his over-the-top comedy. The producer opted to go the spoof route after being unable to cut a deal with Albert R. Broccoli (a former employee) and Harry Saltzman, who held the film rights to the bulk of the Ian Fleming 007 stories. O’Toole in various obituaries (including THE GUARDIAN, VARIETY and THE HOLLYWOOD REPORTER) understandably emphasized his role as the title character in Lawrence of Arabia. That 1962 film, directed by David Lean, had a crew that would have a greater impact on the film world of James Bond: director of photography Freddie Young (You Only Live Twice), camera operator Ernie Day (who’d be a second unit director on The Spy Who Loved Me and Moonraker) and special effects man Cliff Richardson, the father of John Richardson, who’d work special effects on several Bond movies. Also, Spy’s composer, Marvin Hamlisch, included a snippet of Maurice Jarre’s main theme for Lawrence for a scene set in the Eyptian desert. John Barry wasn’t a happy man after Dr. No came out in 1962. Barry had arranged and revamped Monty Norman’s James Bond Theme. He thought the piece would only be in Dr. No’s main titles. Instead, it was inserted by editor Peter Hunt throughout much of the movie. 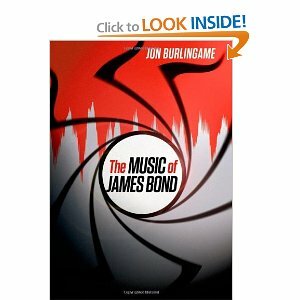 With the second 007 film, From Russia With Love, “John Barry’s irritation at seeing his work all over the film of Dr. No would soon turn to elation,” author Jon Burlingame wrote in his 2012 book, The Music of James Bond. Barry got the job of scoring the new 007 film and, in the process, established the Bond movie music template. Producers Albert R. Broccoli and Harry Saltzman hired Lionel Bart to write the title song. But Barry would score provided all the dramatic music. Barry’s work on From Russia With Love was the beginning of the James Bond sound. 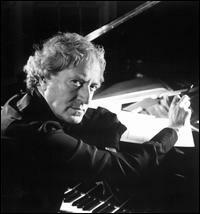 Barry also composed what amounted to a second Bond theme, simply titled 007. It was used during two action sequences: A big fight between Bulgarians and gypsies working for MI6 and when Bond snatches a Russian decoding machine out of the Soviet consulate in Istanbul. Barry would end up bringing the 007 theme back in four more movies, the last being 1979’s Moonraker. For the composer, this was just the beginning. He scored 10 more Bond movies and become one of the most sought-after composers in the movies. Remarkably, his Bond work never got an Oscar nomination. But he won five Oscars for non-007 films starting with 1967’s Born Free and ending with 1990’s Dances With Wolves. Meanwhile, Barry’s template was something other composers had to keep in mind when they worked on 007 films. In the 1990s, David Arnold, a Barry admirer, produced new takes on classic Barry 007 songs. That helped him to secure work on five Bond films, making him the only composer so far besides Barry to work on more than one 007 film. RECAP (11:55 p.m.): Skyfall won two Oscars, the first 007 film to win more than one. Goldfinger and Thunderball won one apiece. It broke a 47-year Oscar drought for the Bond series. The highest profile win was Best Song by Adele and Paul Epworth, finally giving the series a win after three previous Best Song nominations. UPDATE IV (11:20 p.m.): Skyfall finally broke the 007 Best Song jinx, winning the Oscar for Adele and Paul Epworth (Best Song Oscars go to the songwriters, not the performer). Adele thanked producers Michael G. Wilson and Barbara Broccoli. 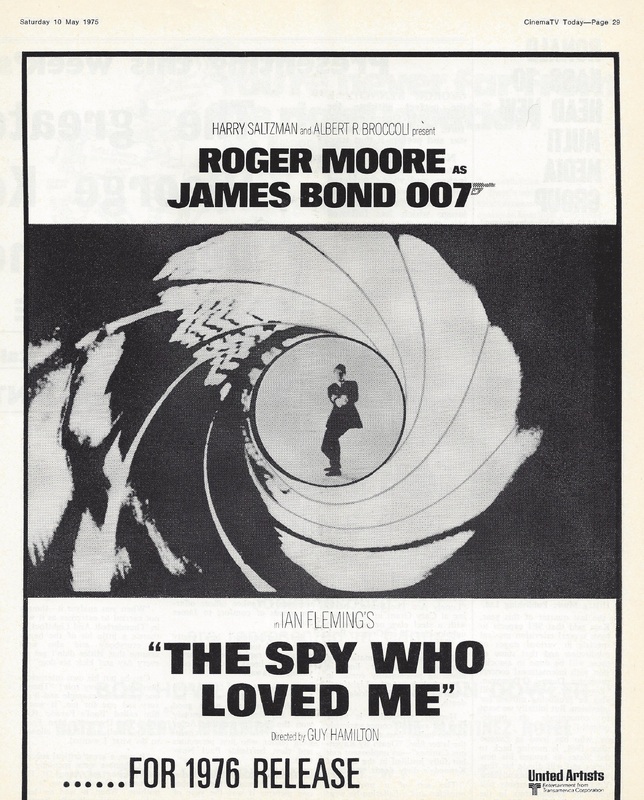 007 films had been nominated for Best Song three times with no wins: Live And Let Die, Nobody Does It Better from The Spy Who Loved Me and For Your Eyes Only. Classic Bond songs such as Goldfinger, Thunderball, You Only Live Twice and Diamonds Are Forever were never nominated. A few minutes earlier, Skyfall’s Thomas Newman lost to Life of Pi’s Mychael Danna. Skyfall ends the evening with two wins out of five categories. UPDATE III (11:03 p.m.): Earlier Adele performed Skyfall. Reaction was mixed in our quick survey of social media. Some fans felt she nailed it, others felt there were too many backup singers or other flaws. Afterwards, two musicians with ties to the 007 series made the “In Memoriam” segment: Hal David, who wrote lyrics for the 1967 Casino Royale spoof, 1969’s On Her Majesty’s Secret Service and 1979’s Moonraker; and Marvin Hamlisch, who scored 1977’s The Spy Who Loved Me. Hamlisch was nominated twice for Spy (score and for “Nobody Does It Better”) but didn’t pick up any wins that night. UPDATE II (10:20 p.m.): Skyfall broke 007’s 47-year Oscar drought by tying with Zero Dark Thirty for sound editing. Per Hallberg and Karen Baker Landers picked up Oscars, though they started to get shooed off the stage as the orchestra played the theme from Jaws. It was the first win for a Bond movie since John Stears won for special effects for 1965’s Thunderball. Just before that, film lost the sound award to Les Miserables. UPDATE I (9:28 p.m.): Halle Berry introduced the James Bond tribute segment, comprised of clips from the movies accompanied by the James Bond Theme and an instrumental of Live And Let Die. Immediately after, Shirley Bassey appeared and did a rendition of Goldfinger, with a very traditional sounding arrangement. It was the Bond highlight so far after Roger Deakins’s loss. Twitter lit up with users commenting about Dame Shirley’s performance. ORIGINAL POST: Roger Deakins, nominated for his cinematography in Skyfall, lost to Life of Pi’s Claudio Moranda. Skyfall, the 23rd James Bond movie, has been nominated for five awards, the most in the history of the Bond film series. The previous 007 record was held by The Spy Who Loved Me with three nominations (and no wins). Still to come as of 9:12 p.m. are the best song, best score and two sound categories where Skyfall has been nominated. For now, 007’s 47-year Oscar drought continues. The last Bond movie to get an Oscar was 1965’s Thunderball for special effects. A tribute to James Bond movies is coming up.